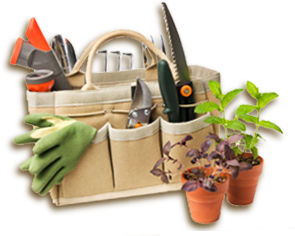 For many gardeners growing plants indoors can seem like a challenge. It is difficult to recreate outdoor growing conditions while you are indoors and the exotic look of some houseplants make them seem like they would be difficult to grow. 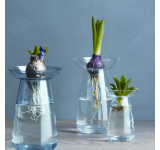 Based on these assumptions I bet that many gardeners think that growing a houseplant without soil seems like it would be a very demanding proposition, but I can tell you that it can be as simple as putting a plant in a glass of water. 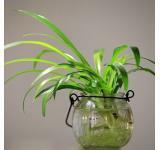 One of my favorite indoor plants is the spider plant and one of the things I like to do with this plant is to use them in my outdoor pots and containers. I think their sword-like foliage makes a nice contrast with other cascading plants and maybe its best feature is the “babies” that it provides each year. These babies hang off of the mother plant and they provide a limitless supply of new plants. At the end of the summer I collect these babies so that I have plants to use next spring. How do I do this? I simply cut the baby from the stem that is attaching it to the mother plant and put the babies in a glass of water. They grow roots in the water and all I do during the winter is to make sure that the glass remains full. 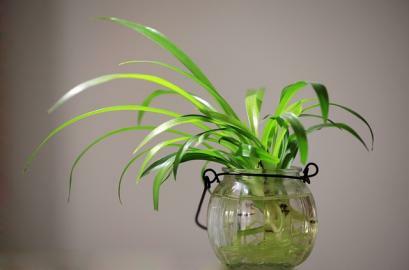 Growing plants in water is known as hydroculture and it is a great way to add houseplants to your home or apartment. In addition to the aforementioned spider plant there are plenty of other plants that are suitable for this type of indoor gardening, including philodendron, pothos vine, and ivy just to name a few. I’ve even seen a picture of a sweet potato that was growing in a glass container and the type of plant you use isn’t the only creative element to hydroculture. 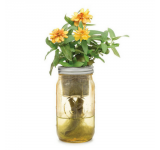 You can use virtually any container that holds water, so colored glass bottles, vases, etc. all make a great candidates for this purpose and allow you to tailor things to your indoor décor and personal tastes. While it isn’t necessary, you can also put decorative stones and pebbles in the container which can provide additional visual appeal and help anchor a more top-heavy plant in your container. 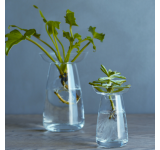 There are even tropical fish, such as Bettas and Siamese Fighting Fish, that could live in a glass container with a plant in it! How’s that for a unique and creative container! In addition to its low-maintenance nature hydroculture offers several other advantages to consider. 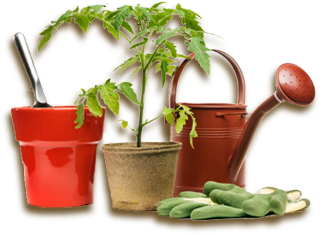 If you live in a small apartment or a condo unit there is no need to purchase bags of potting soil and worry about carrying them upstairs or having room for storage. There are also no soil-borne diseases or pests to be concerned about and while fertilization is recommended I generally don’t bother with plants growing in water and they seem to do just fine. Finally, most books I’ve read on this topic suggest that trying to put plants that have grown in water into soil at a later time is difficult to do. While that may be true I’ve never had any problems doing this with my spider plants that I mentioned earlier. So, if you’re looking for a unique project this winter then maybe hydroculture is for you!